PLEASE NOTE: If you have an corrections or additions to this page, please contact me via the contact page. If you are looking for a location or entertainment for a child’s birthday in the Central Valley (California)…this is the place to get the low-down of what’s available locally! I am trying to make this the most complete resource list for this sort of thing, so if you know of any corrections or anything I’ve missed, please let me know via my contact page! A Wish Your Heart Makes–The ultimate party experience begins with the Central Valley and Central Coast’s finest performers! Kathee Brown, owner of “A Wish Your Heart Makes” makes it her top priority to implement her Disney Institute training “Disney’s Approach to Business Excellence” when producing character entertainment parties for children. Our pixie dust has spread across the land and we have expanded our magical kingdom! We now have locations to serve the central valley as well as the central coast! Our “castle” locations are now San Luis Obispo and Porterville! Entertaining since 2007, “A Wish Your Heart Makes” has performed at over 2000 plus events: With over 25 characters to choose from; Singing Princesses, Treasure Hunts with Pirates, Tea-riffic Tea Parties, Whimsical Wish Granting Ceremony with Fairies, and Superhero Adventures. Our team of professionals are committed to delight your child and guests with “believable” fairytale characters. Offering sparkly face painting, balloon animals and an experience that will touch your heart, celebrate the virtues of kindness and courage and create memories of a lifetime! Call the Castle switchboard at 559-784-4064 or visit our website or Facebook page. Professional Face Painting and Costumed Characters for any occasion. Bring your next party or event to life with a creative Face Painter or Costumed Character to add that extra special activity to the occasion! We offer several characters for boys and girls. You may contact me anytime for more information regarding our services and pricing. Adventure Park–Hanford, 582-6000, Pizza, arcade games, batting cages, race cars, bumper boats & miniature golf. Indoor swimming and gym parties all year long! Blackbeard’s Family Fun Center–4055 North Chestnut Diagonal, Fresno, 292-9000, Miniature golf, arcade, bumper boats, amusement rides and more. Here’s an article about CPK birthday parties. Chaffee Zoo–Your birthday adventure awaits at Fresno Chaffee Zoo! Let us help you plan your child’s special day with a care-free party in our outdoor pavilion, Jungle Bungalow. Your party animal will have a wile time with family, friends, and of course, the animals! To contact our Event Coordinator, call 559-498-5923 or email: birthdays@fresnochaffeezoo.org. CheerForce–Let Cheerforce host your child’s birthday party so you can relax and enjoy your child’s party instead of missing it doing all the work! 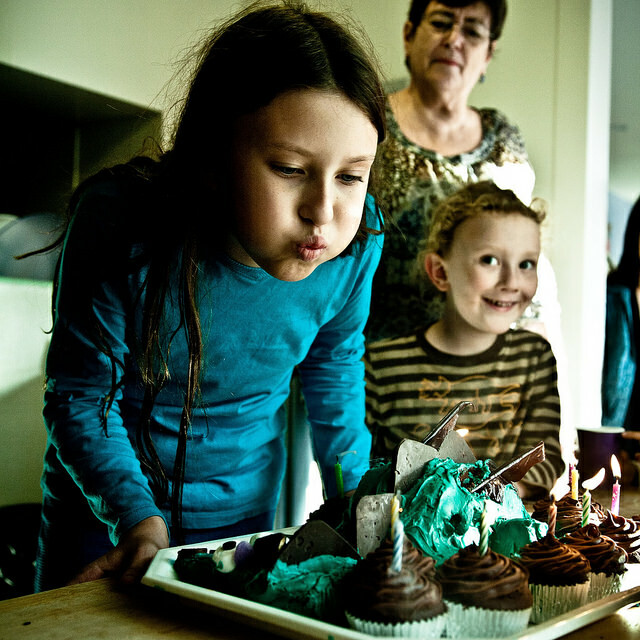 You provide the food/cake and we provide everything else to make your child’s party a huge success. Plus we do all the cleanup so you can leave right when your party is over! Have your child’s next birthday party at the COOLEST place in town! Enjoy a private party room complete with decorations for one hour, a 15-minute group lesson on the ice, and a minimum of 2 hours of ice skating during any of our Public Sessions! To book your special event during any one of our year-round Public Ice Skating Sessions, simply call our office at (559) 277-2233. An escape room is a “locked” room full of puzzles that a group needs to solve to get out of the room. If you love puzzles and enjoy having fun, you need to experience one. Joann Fabric & Craft Store–Plan your next birthday party or group activity at Joann Fabric and Craft Store. We offer parties for kids, groups, or adults that include a private shopping trip for project supplies, party treat fun or game, and 2hrs in our classroom of party lead frivolity and instruction from one of our professional craft, sewing, cake decorating, yarn, jewelry, or painting teachers. We lead the party and you enjoy the moment. Parties starting at just $125. All participants take home their crafty projects. (559)438-0804 ex7. From a jungle gym and bounce house to pizza and ice cream sundaes, it’s the party place kids are wild about. With all kinds of fun for every kind of party and get-together. Knockout Esports Arena–Central California’s first facility dedicated to competitive and casual gamers. A community hub for players and gaming enthusiasts, featuring retro to newly released titles. Have a stress free party and leave the decorating to us! Method of Escape is the latest in real-life escape rooms. You and your group are “locked” in a themed room, armed only with your wits and brains. You have 60 minutes to gather clues, solve puzzles and crack codes in order to escape! This is all about brain-power and teamwork and not reliant upon physical ability. At My Gym Clovis, every birthday party is a perfectly planned celebration created especially for your child, with special song and game requests made prior to the birthday party. Our amazing birthday party specialists will make your birthday party unique and special. And all our birthday parties feature nonstop action-packed activities, games, puppets, songs and more! Every 1 hr booked, receive 10 free admissions. And…Singing lessons by Something Enchanted. Your child can now take singing lessons from a Princess! Classes held once a week for 30 minutes. This is a “Something Enchanted” original and exclusive idea. Ballet Lessons at a separate location, coming soon! Escape Rooms are live-action adventure games. We lock you in a room. You and the rest of your team/friends/family must play together to solve a series of codes, ciphers, and puzzles in order to escape before your time runs out! NOTE FROM FRESNOFAMILY.COM WEBMAMA: I have seen Eric perform on several occasions, and he is ALWAYS a hoot! VERY entertaining and VERY educational at the same time! I HIGHLY recommend E&M’s Reptile Family! Ford Farms Mobile Petting Zoo and Pony Rides is a family owned and operated business, located in Lindsay, CA offering mobile petting zoo & hand-guided pony rides in Tulare, Kings, Inyo County. We provide hand-guided pony rides, mobile petting zoos & mini horse rides servicing the Northern & Southern California areas. We are mobile & also host parties at our Ranch! We specialize in children’s birthday parties, Educational School Assemblies, Classroom Education, corporate events, school & church festivals, daycares, grand openings, family reunions, Easter Activities, Halloween Parties and Programs, Christmas Programs & More. 7 years’ experienced professional face painter, balloon animals, body art, and Glitter tattoos! The Happy Song Man–439-8803 or 246-4883 cell, Children’s entertainment, birthdays, etc. Sing songs, keyboard, different voices, animal/bird sounds, humor, birthday song composition. Kealoha Characters—559-274-3715, Professional cartoon costume characters. Invite Scooby Doo, Sponge Bog, Patrick, Elmo, Dora, Diego, Strawberry Shortcake, Winnie the Pooh, Tigger, Superman, Snow White (look-alikes) to your party. There are a lot more characters on the website. We also have licensed bounce houses to match many of our characters. Kopper the Clown–433-8897, Enjoy a stupendous magic show, awesome balloon sculptures and fun face painting. Mother Goose–Mother Goose can PARTY!! The beloved Storyland character comes to life to bring a memorable visit to your special event. One your child won’t forget and costumed to your wishes and wants. Please contact Lynda Tatman via email for more detailed info. ~Tats 4 All–559-579-7981, Temporary airbrush tattos. For a more fun and memorable event, hire TATs 4 all to be at your next party/event! We have over 400 stencils to choose from and we’re sure to have something that each one of your guests will want. Currently located in Hanford, CA. – Serving Kings, Kerns, Tulare, and Fresno Counties. Willing to Travel to Bay area, & Central Coast. ~Todd the Snake Man—Are you tired of the same old birthday parties? Call us for your next event! We bring a variety of snakes (all non-venomous), friendly and fun. I bring everything from the small Kenyan Sand Boas (Star & Jasmine), to the Albino Python (Sunny-D), and many more! I have worked with kids and reptiles for almost 20 years, and every party is truly a Unique event! I have a presentation/ Question & Answer time, when every kid can touch and learn about every snake. and then we have holding/picture time, Your guests get to take a picture holding one of my snakes (you provide the digital camera and photographer*). 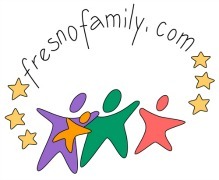 NOTE FROM FRESNOFAMILY.COM WEBMAMA: Todd is AWESOME!!! I have had him for my son’s birthday party, and seen him at other parties and events many times….he does an AMAZING job and I cannot say enough about him. I HIGHLY recommend him! 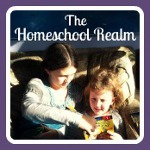 NOTE FROM FRESNOFAMILY.COM WEBMAMA: Brandon of Wild Child is AWESOME!!! I have seen him in action on many occasions and I HIGHLY recommend him! Hello, Can I get an updated Mother Goose info? The email that in linked is no longer working. Thanks! I am looking for a place to take a few little girls for a mani pedi party. Any suggestions please? Hi! there I am planning a 7th birthdau party for my daughter, I was looking for someone who could come to my place and do a make over for all the girls like make up , hair, nails etc.. and if they could entertain kids with some games or anything else interesting. If you Call Papa Johns and you mention fresnofamily.com they will give you $8 LG 1top pizzas and $10 specialty pizzas if you order more that 5 pizzas for your party. They will deliver if you are in their delivery zone. im looking for someone who does birthday party bead necklaces where they bring a bunch of different beads and the girls can make their own necklaces. does anybody know of someone who does that? Hello, has any moms on here ever booked a character from A Wish your Heart Makes? Uf so, can you give me some feedback on your experience? The only thing I can think of is Laser Quest…but that’s pretty pricey…Maybe a park that has a water play area? I know it’s usually for the littles, but my 13yr old still enjoys running and playing in the water like that. 🙂 The one at Fig Garden Loop is really cool. Marisela, what sort of things is she into? I’ve done a ton of really neat parties for my kiddos, based on their interests. Examples of parties we’ve done: mermaids, Minecraft, Fairies, bugs, jungle, construction, animals, tea party, mad scientist, aliens….what is your daughter into? Have you looked into the Jungle Party House at Sierra Vista Mall? I am planning my son’s 1st birthday and the theme is mickey and friends. I wanted to see if I can a couple characters? party is aug 23, 2014. also If there is any deal out there for more then one characters? You’ll have to talk to the party businesses. I just run FresnoFamily.com. Hello, I’m trying to plan a Monster Truck theme for my son that will be turning 3 MAY 16th, I would love to have a bounce house, and some fun activities. Can anyone recommend any of the listings above that will well be suitable with his theme? any suggestions? your help will be most appreciated, Thank you. Hi! I am planning a Thomas the Train theme party for my 3 year old, and am lookibg for a trackless train or train rental. Also a Thomas the Train bounce house.. Any info would be very much appreciated. I’m turning 15 and love a fantabulous , girly , SLUMBER party!! <3 what location would you recommend ..? Has anyone used Child Time Celebrations above??? THinking of doing a birthday party for my 4 year old. Just wondering if anyone has used anyone to plan and do their party for their little girl?? My son loves Music Together classes and I am looking for something similar that is appropriate for 1 year olds/toddlers (unfortunately Jill is out of town until the spring). The Jammies are for hire, but I think they may be more appropriate for older crowds. I’d like someone who brings little instruments and props to play along with the music. Any suggestions? Our Design a Purse Party is listed on your website under dekoposh, Inc. The contact info for mother goose is missing. Do you have contact info for her? Oh wow!! Thank you do much. I just emailed her and I will let you know what I find out! Thanks so much! Oh no! I’m so sad to hear of his passing. I’ll keep checking back and I’ll keep my fingers crossed! Does anyone know of a local stilt walker? Attempted to contact Tony Blanco and the number is now disconnected. Thanks any information is appreciated! Sadly, Tony Blanco passed away a few weeks ago. I don’t know of anyone in town that is a stilt walker but perhaps someone else visiting this page does? Not sure if that’s what you’re looking for, so let me know! http://www.facebook.com/fresnofancyfaces as we have been creating smile with fun face painting for 10 years here in the Central Valley! I’m looking for somebody to do face painting and balloon twisting at a child’s party in a couple of weeks. I notice there are a couple of clowns listed who have this in their description but I am unable to find a website, examples of work or any reviews. Can anybody recommend somebody for me who’s able to link to a website or send me some pictures? Thank you! Yes we have characters you are looking for! Visit our website http://www.fresnofancyfaces.com, Facebook or contact me for more info on a Mouse themed party. 559.260.4049!! As we look forward to bringing your party to LIFE! Hi, im looking for a Mickey Mouse Character and possibly Donald Duck to entertain for my sons 1st Birthday! I want the real looking mascot Mickey! His themed party is giong to be “Name” Mickey Mouse Club house 1st Party! I’m super excited and it is not until June. Anyone have a contact place? Im also looking for Snow-cone and popcorn machine rentals. Thanks! Yes actually I know someone who knows Mother Goose. I’ll ask for her info. Lisa…I just got info from Mother Goose to add to this page! You can now find her email info above, under “Entertainment”. The list is alphabetical, so just scroll down to “Mother Goose.” Have fun!! Any places where we could rent a room and do our own food? Excellent question! I really don’t know. It seems like I remember hearing that Bounce U has a package that allows you to bring your own food…but you’ll have to check with them. There’s always the option of reserving a table at a local city park. I’ve seen lots of people do that at Oso de Oro in particular. And its free! I was hoping someone could help me find some reasonable people such as a face painter,Elmo or any other fun things for my daughters 2nd birthday. I was wanting to know reviews on the above list I got a face painter and clown off this list for her first birthday they were reasonable but had horrible personality’s the kids did not notice but all he parents did so I was hoping someone could help me with good entertainers that are not outrageous. if so please email me at calimonroe10@hotmail.com thank you very much. And if anyone has any personal comments on any of the above businesses or entertainers, please leave your comments here.